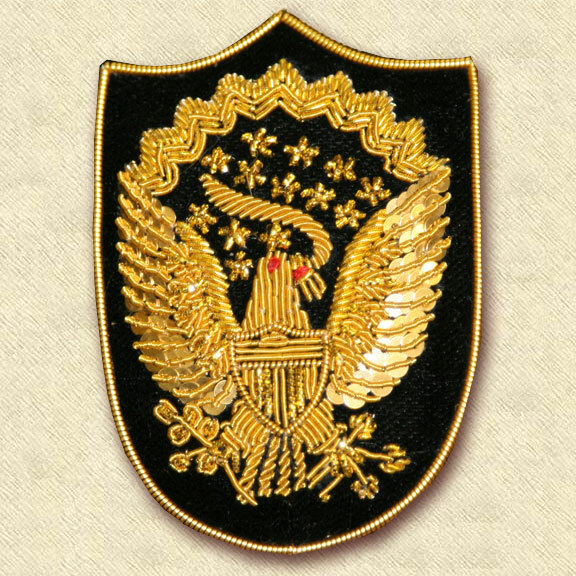 lthough there was a great variety of embroidered eagles used by officers, we found that this shield backing was exceptionally attractive. 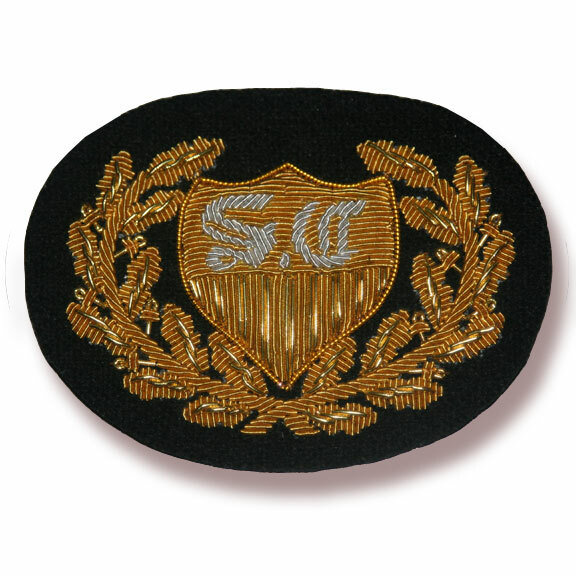 Originally made as a special request to a customer, we were so satisfied with the results we decided to add it to the line as a permanent item. 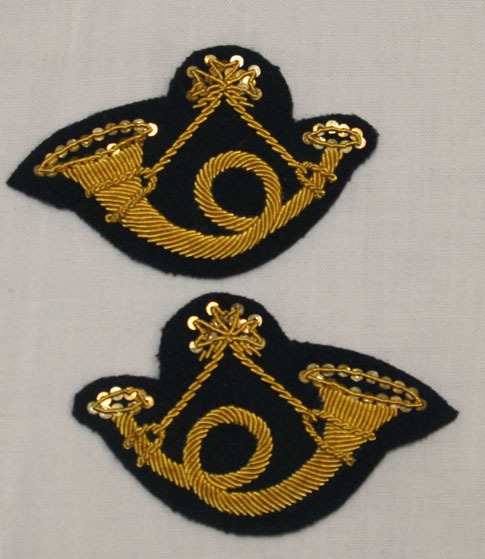 We followed the same construction as found on many other officer's insignia pieces, and used brass loops for attachment instead of having to sew it directly to a hat.